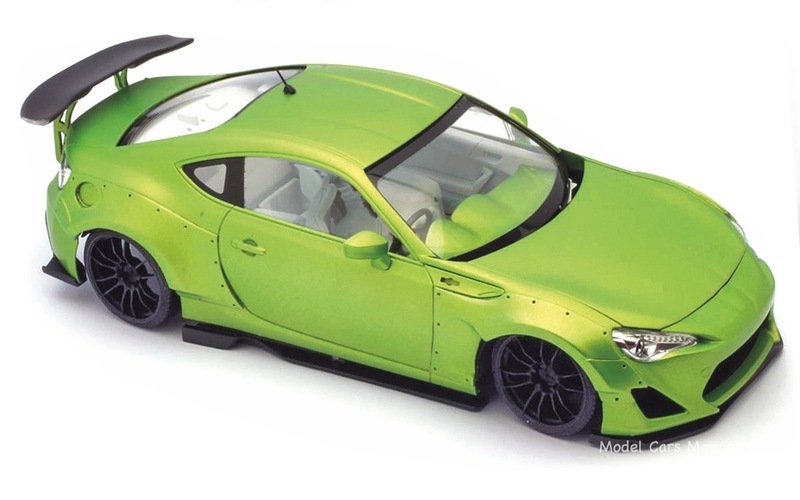 Tamiya sent their newest kit, the Mercedes-AMG GT3. We have to say, this is one insane looking kit! Just roughing the body together made such a good looking model, it mades us wish we had an extra half-mil to go out and buy the real car! With all seriousness aside, even though the kit is curbside, it’s really a superb kit. 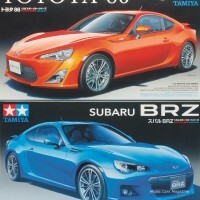 Check out the photos to see what we mean, and go pick up your kit from your local hobby shop now! 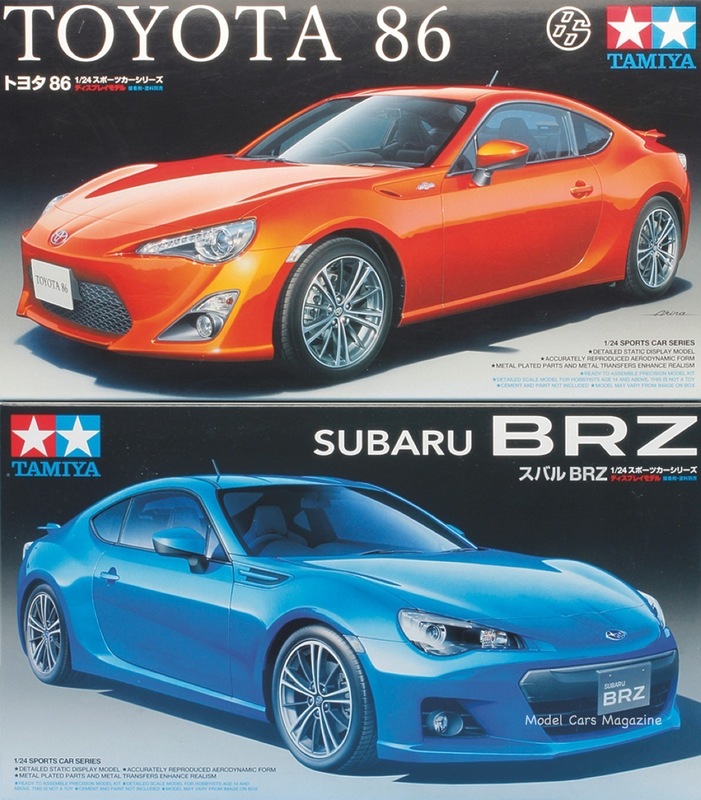 It’s about time we got a new and current kit from Tamiya! Their new Mazda MX-5 Roadster is great! The 1/24 scale kit is flawless, with both left- and right-hand drive options, and options for US, Japan, Europe, and British versions. The roadster body has no flaws whatsoever! Now is the time to order some of those great colors from ScaleFinishes and Gravity Colors. They both have our favorite Mazda Soul Red, so it’s your choice. 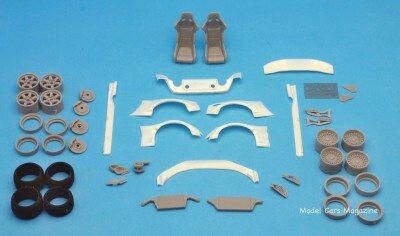 The kit is basically curbside, with nice suspension details, and good under-engine detailing/engraving. The neat part of the kit is that there is a female driver figure, that you can position for either the right or left side driver’s seat, with different arms for either side. You also have to slide the seat forward to get her to fit the driver’s side pedals/steering wheel. A nice touch! So, how does it build? We painted it this weekend, and we will update the final shots soon. So far, PERFECT! Tamiya sent their new, and gorgeous, 1/24 scale kit of Ferrari’s newest supercar, the LaFerrari. This kit is incredible. It is on par with their earlier Enzo kit, but with a more beautiful body and shape. There is also available separately a photoetched detail set, and carbon fiber decals, that you can also buy (they are not included). The carbon fiber decals are not the standard template-style, they are already in the shape/pattern that is needed. The photoetch is the new style, with no frets holding the parts to the trees, which makes it so much easier to use. If you are going to build an all out LaFerrari, I would highly recommend the photoetch set and the carbon fiber decals. The body is flawless. I couldn’t find any flash on any part, seam, or piece of plastic. The hardest part I think is figuring out what color to paint it. After some quick research on the ‘Net, it looks like there are a few colors to choose from. Of course the standard Russo Ferrari red is an option, as is black, yellow, and white. I saw some light blue, dark blue, and even the Lambo-style orange that I love so much. After some soul-searching, and roll of the dice, I think I’m going to go wild, with a black and white paint job. Black on most of the body, with white around the lower part of the front, side doors, and back end. I will update this page along the way while it is being built. Thanks for looking! Tamiya sent their soon-to-be-released 1/20 scale Red Bull Racing Renault RB6. This is the first new tooled 1/20 F1 kit since the Ferrari F60 back in 2009. I have to say, this kit is fabulous! It does have a high retail sticker price (TBA, but more than what we have seen lately), but I think that it is worth it. Check out all the photos in the photo gallery, and see for yourself! I will be doing this one for a kit build/review for the January issue.